This Four Bedroom detached property sits in a sheltered location on the fringe of the North Golf Course. The property has been beautifully refurbished and extended to provide a magnificent Master Bedroom, dressing room and bathroom. There are two further guest bedrooms both with an en suite bathroom and an additional bedroom currently used as a study. In addition to the new fitted kitchen there is a utility room and large walk in pantry and store cupboard. The living and dining rooms both lead out onto the extensive terrace area. 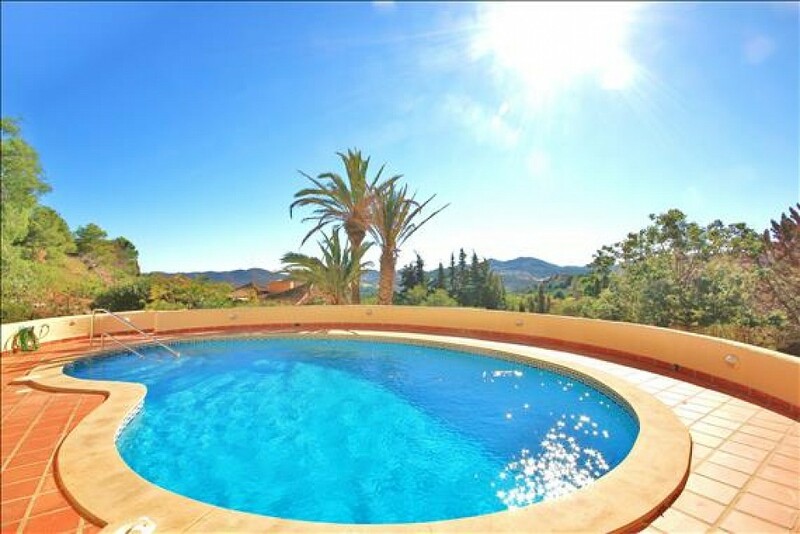 The private pool faces directly south with all day sunshine throughout the year.